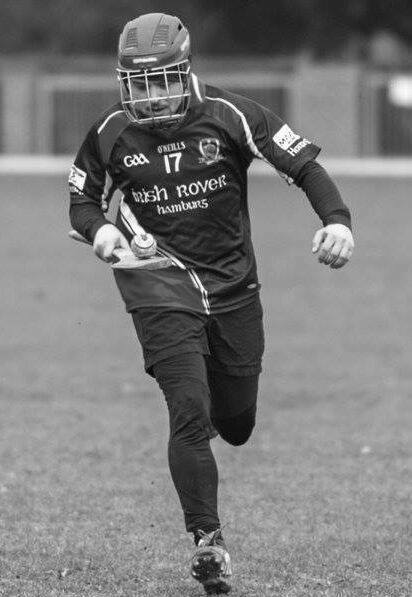 Let our Hamburg Grasshoppers team take you through a session and show you what this German youth GAA team is all about! 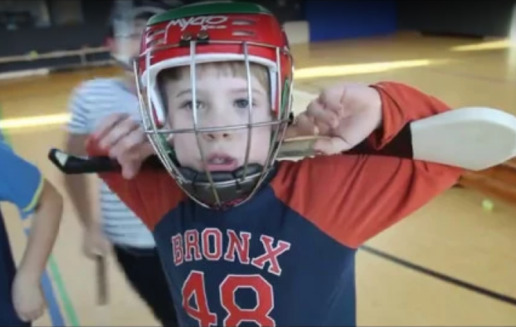 A big thanks to our kids partner Reynolds Hurling – www.reynoldshurling.ie – and to those who donated at our Halloween party to make this all possible! 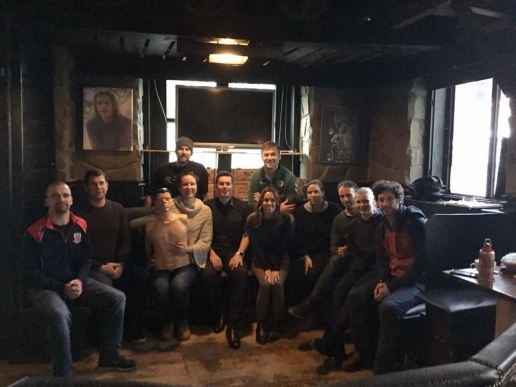 Usually if we’re in a pub this early on a Saturday morning it’s because we still haven’t left However this time was different as Sven Bartens from eins eins drei took members of Hamburg GAA through their paces in a day of first aid training. If your team has been thinking of learning first aid (you should), we highly recommend Sven who offers training in English and German. You never know what kind of injuries are going to happen in a match and it’s better to have as many as possible able to recognise and handle them appropriately. Thanks to Andy at The Irish Rover, Hamburg for daring to let a GAA team in at 9am. Honourable mention to Sven’s assistant Bob who endured more than any training dummy should have to. Hamburg GAA’s cornerstone of the full-back line, Children’s Officer, and chief motivator, Arnold Morascher, recently attended a kids and youth coaching course in Munich organised by the German GAA / Deutscher Bund Gälischer Sportarten. Arnold was joined by over a dozen other coaches from the likes of Rómhánaigh Augsburg Óg, Setanta Berlin GAA and Munich Colmcilles GAA. O’Reilly (ó Uíbh Fhailí) took them through what it takes, combining theory with practical games, drills and coaching approaches. We can’t wait to see Arnold put his new skills to use when he begins our upcoming school coaching sessions and we are even more excited at the prospect of a youth tournament in the future! A big thanks to all involved for making this possible! 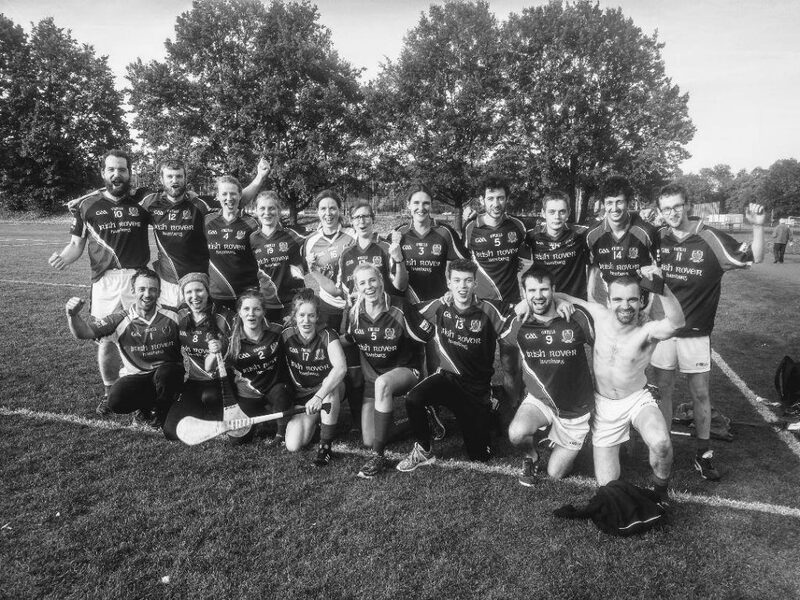 Saturday the 30th October 2017 was a big day for Hamburg GAA at the finals of the Cúltec Hurls European Hurling & Camogie Championship hosted by Dresden Hurling. Having recorded their first-ever European match victory, our camogie team steam-rolled their way to the final, where they fought tooth and nail against tournament and 2017 Championship winners, Belgium GAA. Our hurlers picked up the (first-ever) European Shield Championship 2017, having worked and fought consistently all season. And to put the cherry on the bit of apple crumble, our skills trainer, talisman, and first and foremost, proud Cork man, Fearghal de Barra, won another MVP for the Shield competition on the day. A day to remember for our international group. A huge thank you to Dresden Hurling for a perfectly organised tournament and after-party, where songs were sung with Rómhánaigh Augsburg Óg GAA e.V. and Gaelic Sports in Berlin, and some boogie woogie and high-kicking competitions were done with Belgium GAA and Darmstadt GAA. A special thanks to Stephen from Munich Colmcilles GAA, who solidified our hurlers’ defence, and Alisa from Darmstadt GAA, who fought hard and slotted in perfectly to our camogie team. We appreciate the support we continue to receive from our sponsors, The Irish Rover, Hamburg, MAAS Aviation, and EpiSensor, to allow us to have days like yesterday. We’ll be ploughing on through the autumn and winter, to come back stronger next season. 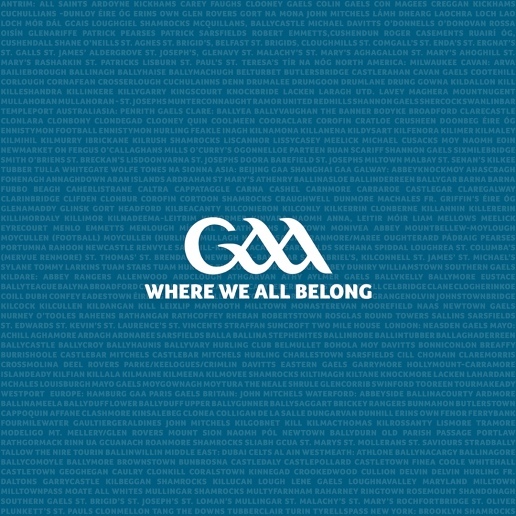 The only thing I regret about the great progress the camogs and hurlers of our GAA club has made since its establishment in 2015 is that I’m not 30 or 40 years younger and therefore can’t be out there with them as they wield the camán with great distinction the length and breadth of Europe in search of honours on behalf our adopted city. The modest, but well-appointed soccer facilities at Steinweisenweg, Eidelstedt which hosted the second round of the European championships held on 17th June,while a far cry from Semple Stadium, the Gaelic Grounds in Limerick, Páirc Uí Chaoimh or of course the one and only Croke Park, was the venue for this truely special occasion. The unique sense of rivalry, intensity, community, and good nature which prevailed that day was something that only our ancient game could generate. This was Gaelic Ireland at its best, presenting our national sporting treasure on an international stage in a wonderful spirit of openness, friendship and solidarity. By means of an enthralling series of recollections, anecdotes, songs and poems, the reader was treated to the feats of our hurling titans: the Mackeys of Ahane, Christy Ring and Glen Rovers, Dungourney’s favourite son Jamesy Kelleher featured promently, Lory Meagher of black and amber fame, the Rackards from Slaneyside, the Premier county too was well to the fore. Indeed all that delirium of Cúchulainn-like warriors. In my opinion, no publication has succeeded so effectively in portraying so vividly the unique romance and passion associated with the game. One poem from the book remains fixed in my memory. It tells the story of a goalkeeper from Clare; Tommy Daly who also found glory with Dublin, winning four All Ireland medals with the sky-blues. 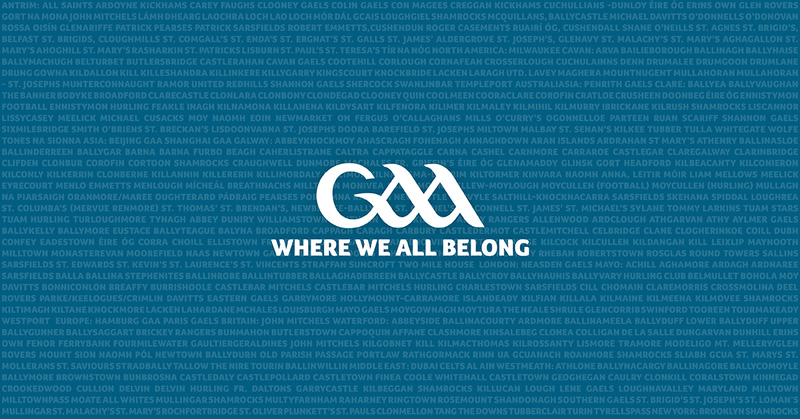 The poem may not please the literary purists, but I believe it encompasses that sense of identity, commitment and gallantry which only the GAA and hurling can conjure up. It was penned by the redoubtable Kerry bard Bryan Mac Mahon. What would a Kerryman know about hurling, some might venture? Those who know better will point out that Kerry had claimed All Ireland laurels in 1891(the Liam McCarthy didn’t arrive until 1923), long before some of the more celebrated hurling counties were out of the traps! Goes surging on through Clare. That ever clutched a ball. Tense with pride of Clare. On your wind’swept hill to-day”. Nor the blue and gold of Clare. On your wind’swept hill to-night”. Where the Claremen place their dead. On the level lawns of God. Some years later I made the pilrimage to Tulla. The final resting place of one of the Banner’s most revered sons proved elusive. The hill is indeed “windswept” as the poem relates, but with the help of some friendly advice at a local hostelry, I found his grave. “The Clash of the Ash” is long out of print. A recent cursory look in Amazon revealed a second-hand copy on offer at €140. My tattered version bears the then price of 60p, but it’s not for sale. Raymond Smith’s masterpiece concluded in 1972. 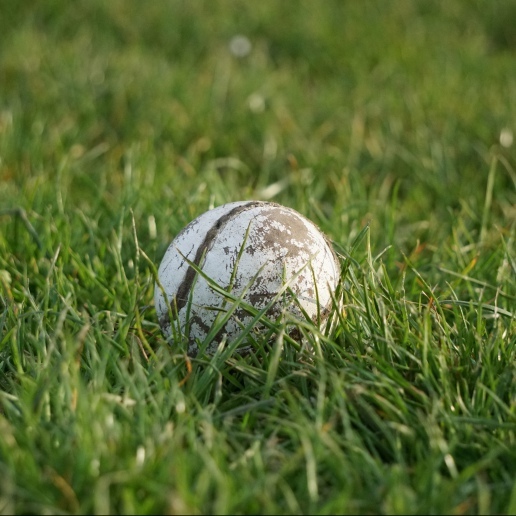 Thankfully, since then the history of hurling has continued to unfurl, in doing so enriching our lives with new heroes, great games and outstanding entertainment. Today, the ash still clashes, but further afield than any of the GAA’s visionary founders could ever has imagined when they gathered in that Thurles hotel in 1884; in Amsterdam, Berlin, Brussels, Zurich and beyond, and thankfully, in Hamburg. 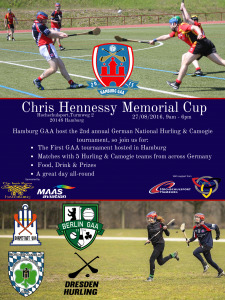 It is with great pleasure that we announce that Hamburg GAA will be hosting its first tournament, The Chris Hennessy Memorial Cup (National German Hurling & Camogie Championships), this Saturday 27 August. Named after Chris, the founder and former Chairperson of Berlin GAA who sadly passed away two years ago, we are truly honoured to be given the opportunity to host this competition. GAA clubs from across Germany make their way to the ‘Pearl of the North’ to battle it out in hurling and camogie games to crown the Champions of Germany. We want you and your friends, family, colleagues, and significant others to come along and join us on the day for fun, sport, BBQ, and drinks – we are counting on your support on this special day! Entrance is completely free! Address: Hochschulsport Hamburg, Turmweg 2. Hamburg GAA, in cooperation with our friends at Hamburg-Irish, is proud to announce the launch of a new Irish language course in the city of Hamburg. 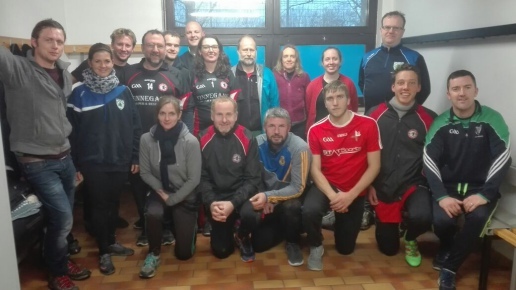 The course will be conducted by Hamburg GAA’s Irish Language & Cultural Officer Micheál Ó Muireagáin, a native of Belfast and longtime resident of Hamburg. Micheál has many years of experience in teaching the language both in Ireland and Germany. 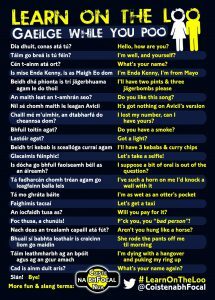 The Irish language (Gaeilge) is the first official language of Ireland and an official language of the EU. As part of our drive to promote Irish culture in Germany, we are seeking to encourage a wider understanding of, and accessibility to, our native tongue. The course, which will begin 5th September, takes place in the Celtic Cellar of our sponsor the Irish Rover and will continue every Monday until Christmas, comprising 15 units total. Each class lasts one hour, from 18:30 to 19:30. All levels will be catered for, so whether you are completely new to the language or took it in school and have forgotten most of it, we will provide both an introduction and refresher for you. Higher level participants are also welcome but will be asked to help the others. Explanations in the course will be given in English and German although the focus will of course be on Irish. The course costs €60 for the 15 units and materials will be provided. Places are limited, so please sign-up now! Registration ends on Wednesday 31 August. Upon registration, a course brochure will be sent to you, which contains much more information on course structure, content, etc. Email MOM-ELT (at) T-ONLINE.DE to register. For any general queries you can contact us here under “Contact” or on our Facebook page – we would be delighted to hear from you. Practice a few phrases below! With heavy and pierced hearts we inform you of the death of our member and friend, Sebastian ‘Sebi’ Riessbeck, who sadly passed away last Sunday. A skillful and fearless warrior on the pitch, and a gentle and kind man off it, Sebi represented everything great about hurling and about the GAA, a great GAA man. He was involved with Hamburg GAA since its foundation and performed the role of Registrar and ‘chief driver’ with a smile on his face and a passion for doing the right thing. We will remember our friend for his wit and immense kindness. In his honour, the club #17 jersey, Sebi’s number, will be retired. As Sebi’s family, friends, and team-mates, we all stand together at this difficult time. Unser Bruder, unser Mitspieler, unser Freund. It is with great pleasure that we announce that Hamburg GAA will be hosting its first tournament, The Chris Hennessey Memorial Cup (National German Hurling & Camogie Championships). With teams from across Germany competing in Hurling & Camogie games, a BBQ and refreshments throughout the day, it promises to be a great day all round. We look forward to welcoming Darmstadt GAA, Munich GAA, Dresden Hurling, and of course Berlin GAA, as well as you, our fans, friends, and family! We invite you all to pop down to watch the tournament and cheer us on! A huge thank you to the Deutscher Bund Gälischer Sportarten (DBGS/German GAA Federation) for their support with this tournament!